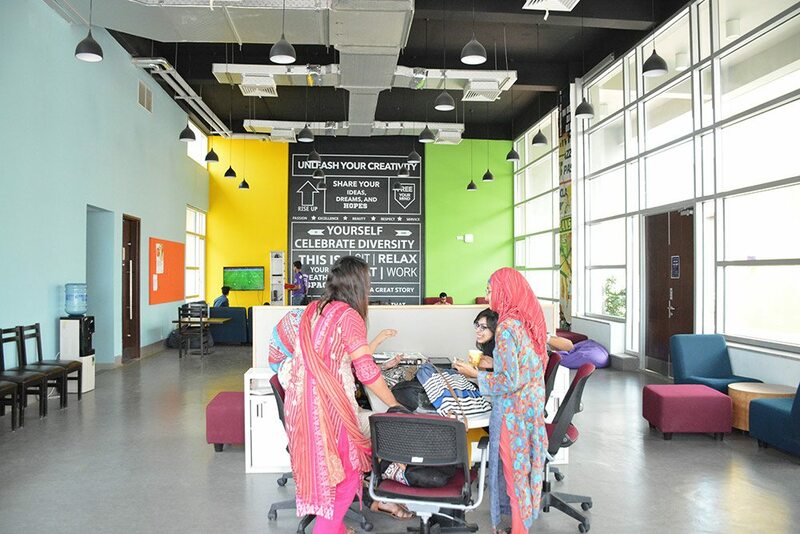 The Student Lounge is a vast area of 1000 square feet, furnished with seating and studying spaces. It is where students congregate, relax, plan, study and do all the things that make student life memorable. Friendly and relaxing, the Student Lounge has plenty of space for students to lounge about on couches and bean bags, discussion tables and even a designated widescreen TV. It is truly a relaxing environment where students can engage with their peers, have fun, and unwind. 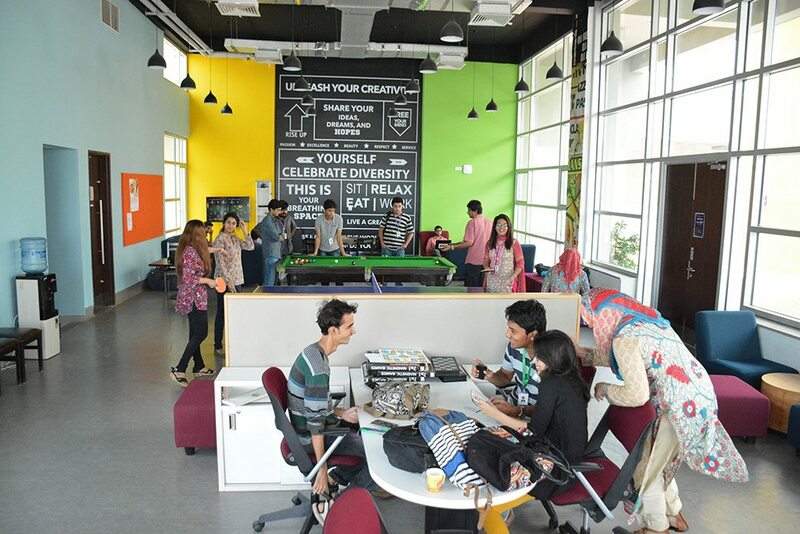 The student lounge also features some fun gaming equipment for the Habib community, including a pool table, table-tennis, a carem-board, card games, board games, and even gaming consoles. Besides this, there are outdoor gaming setups also, for students who love sports. There is a basketball court, tennis, football, throw ball and a cricket pitch for students to enjoy on their off-time.